We recently reviewed the Hagen Fluval Sea LED Lighting strips and did this review based on using the lighting unit in a freshwater Malawi aquarium. 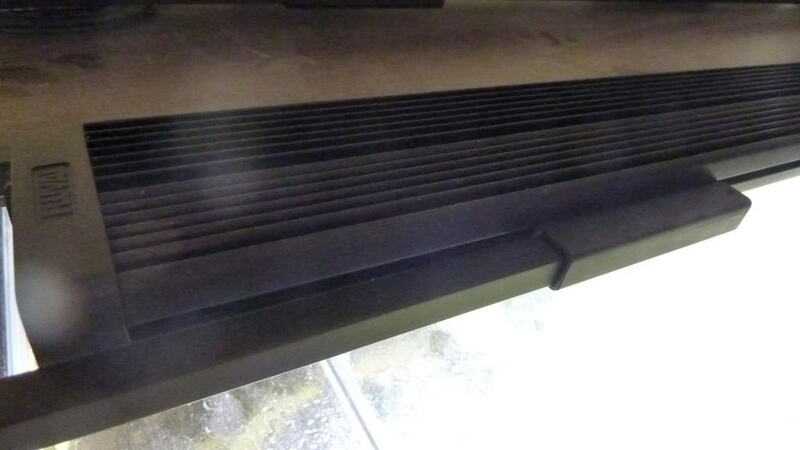 This is due to not thinking the similar lighting unit available from Fluval would be more suited to planted tanks than African cichlid tanks. 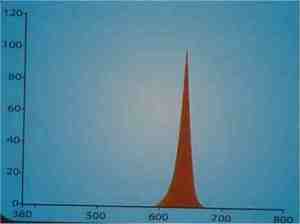 Whilst making this assumption we hadn’t actually tried and tested it, now we have…. As you can see from the table the main differences in the range are focussed around the different size of unit available and so quantity of LEDs are different so other parameters are affected as a direct impact of this. 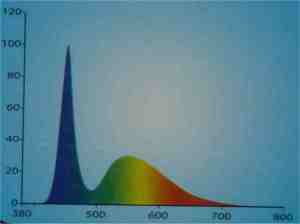 Therefore the effect you will get from each unit will be the same but will just cover a different area. 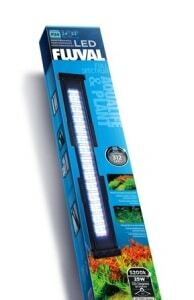 The Fluval Aqualife and Plant Full Spectrum Performance LED Strip Light provides a balanced combination of multiple LEDs for optimal photosynthetic activity, plant growth and viewing. There are 5 different LED’s in each strip which have been carefully selected to ensure you get a strong full spectrum of light. 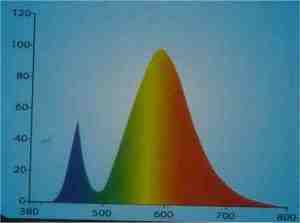 With the 15000k and 6500k wavelength LED’s making up 50% with high CRI for accurate colour rendition and perfectly balanced lighting. 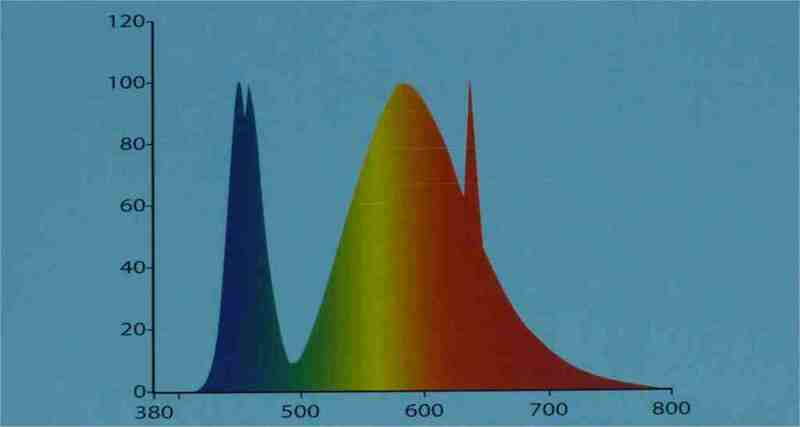 The other 3 LED wavelength types make up the remaining 50% which combined give the optimal photosynthetic requirements for optimal plant growth and condition. 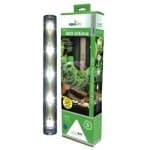 The strip light provides full spectrum lighting that promotes and supports lush plant growth. 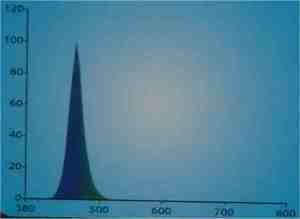 It also emits balanced light for accurate viewing of your aquarium fish and its aquatic environment. 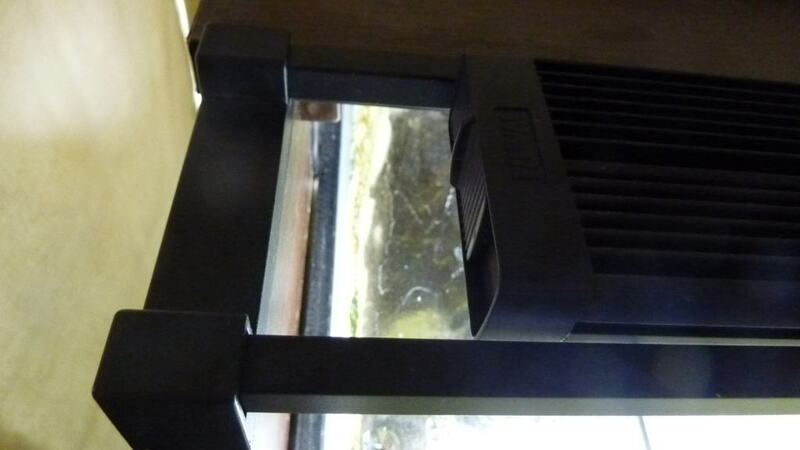 The Fluval Aqualife and Plant LED strip gives a good angle of light dispersion of 120 degrees which means that for the tank we tested the unit on, measuring 120cmx60cmx60cm, only 1 light strip was required to cover the whole tank. The light unit is mounted to a heat sink which does get hot during operation so take note of this if mounting under a hood. 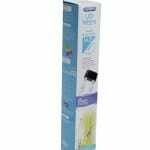 It is also classed as being completely sealed and waterproof, we didn’t test this theory but submersing the unit however any water that has splashed up on to it didn’t cause any problems. Another key thing to note is that the unit is smooth on the underside which makes cleaning it straight forward and easy. 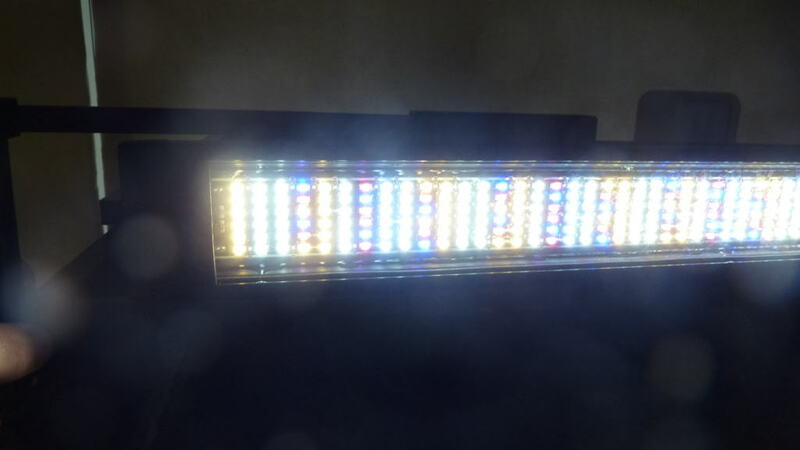 Now we have covered the specs and description of the lighting unit, what do we think of it after having tested it for a month on our Tropheus fish tank? Well we have to say we’re very impressed with the unit. Although not tested with live plants, it is clear and evident that we were getting algae growth from it (due to having it running on a timer switch for 14 hours per day) so on this basis we are confident it would be efficient at keeping plants healthy and promote good plant growth if used in a planted aquarium. 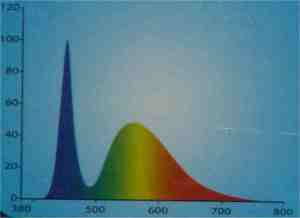 Other LED’s light units designed for use on planted tanks that we have tested often give a yellow tinge which can sometimes be too much. 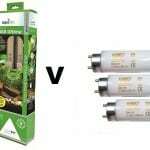 The Fluval Plant and Aqualife LED light unit does not give such a yellow tinge which we are in favour of over say the Natural daylight Grobeams from TMC. 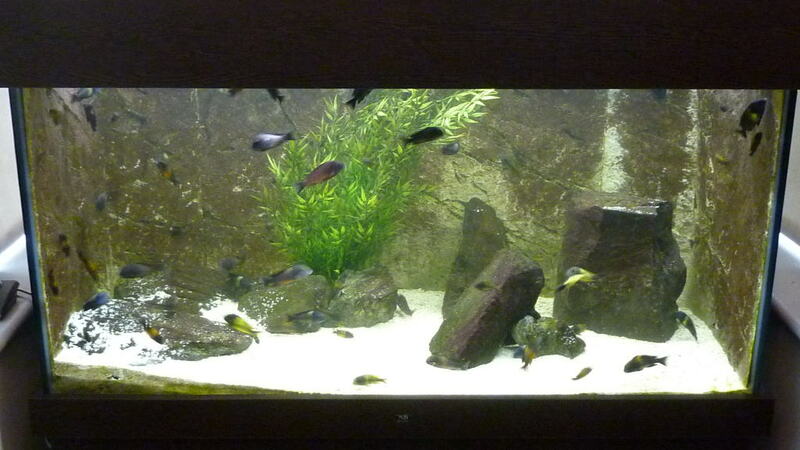 The unit itself is very neat and fits on to the aquarium easily by resting on the sides of the hood. There are other options to mount too however these require to purchase additional mounting brackets. The light has a switch built in to the side which will allow you to switch between the off position, all LED’s on or just blue (moonlight). It would be a great feature/upgrade if it was possible to control this on a timer or externally from the unit though. 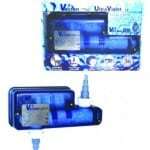 It can be used on a timer switch but one that you would need to plug in to the mains and does not come with this. We would have liked to have seen the option of having sunrise/sunset timing available as an option too however when watching the aquarium when the light comes on in the morning and turns off in the evening, the fish do not flinch or jump as they do with some tube lighting set ups so this is more for aesthetics than a concern about shocking/scaring the fish twice a day. Build quality of this LED light unit is very good and it feels like a strong a sturdy unit which gives us confidence of it’s endurance over time, there’s certainly not any issues or faults to report after a month of usage. The unit ships with the mains transformer which runs from a standard figure eight mains cable (supplied with a 2m cable), the unit itself also has a 2m cable going from the light to the transformer. This gives plenty of cabling options to those who are running this unit on a large tank. Although it may fetch a reasonable price tag, this is normal for LED light units of this quality and with 50,000 hours usage it is sure to pay for itself in electricity cost savings and no need for bulb replacements every 6-12 months when comparing to t5 or t8 light set ups. 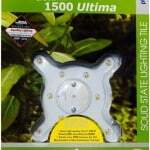 Our conclusion on this light unit is to suggest you simply buy one, you will not regret it. 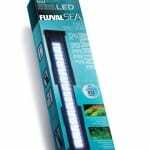 To date it is the best light unit we have tested and we are sure Fluvals range of this product will become commonplace in the hobby very soon.